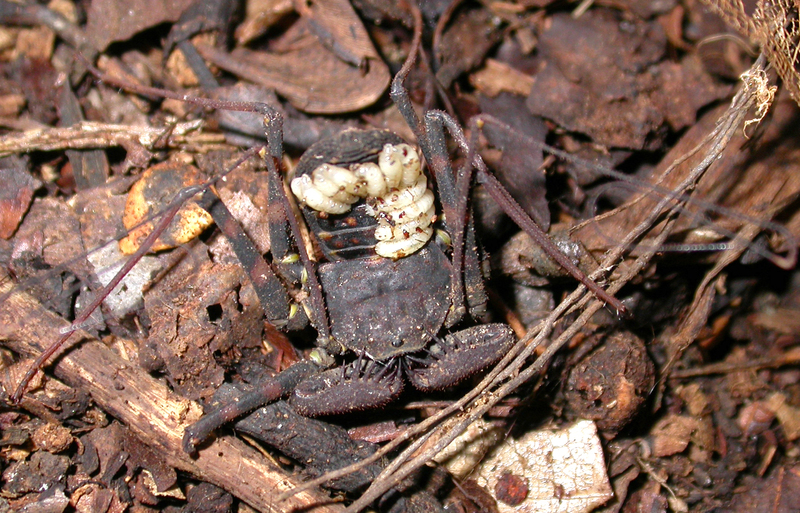 Carapace reddish brown,femur of the pedipalp reddish brown with black spots and whitish. Legs dark with three stripes on femora II-IV. Prosoma and opisthosoma, with the ventral surface of light reddish brown, except coxae.